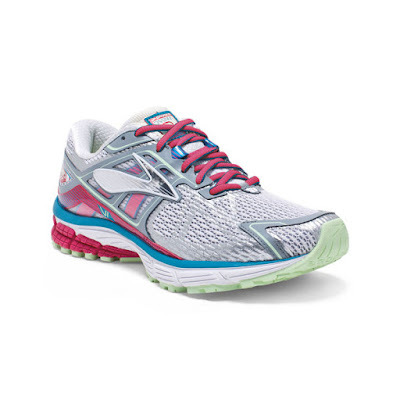 Hi, my name is Jenn, and I just got myself a brand new pair of Brooks Ravenna 6 running sneakers, normally $110, for $56. I KNOW! I was psyched too! Pretty! But not the all time prettiest. How did I accomplish such an amazing feat? Well, Brooks recently came out with their Ravenna 7, so they're unloading all their old 6 inventory. I definitely want to try the 7s eventually, but the 6s work fine and older shoe models go for much cheaper. For example, Brooks was selling its Ravenna 6s for $70. A good deal to be sure. But just in case, I checked retailmenot.com to see if there were any discount codes, and... BAM! 20% off sale sneakers! Down to $56 we go, with free shipping! If you use Brooks sneakers, don't mind slumming in last year's models, and want to try to replicate this success for yourself, the I used the code LEAPYEAR at brooksrunning.com. Neither Brooks nor Retail Me Not has sanctioned my sharing this, so I have no idea how long it'll work or whether it'll work for you. But it's definitely worth a shot, no? Will you get anything with this code? How do you mitigate the tremendous cost of running shoes? Do you demand the latest models or are you cool with gallivanting about in the sartorial equivalent of old news?